Making your way in the online world as a small business can be hard, you may even find it intimidating. As you look at the online success of your competitors you may wonder ‘how are they doing it?’ or ‘how can I achieve that?’. If I’m being honest, I’d have to tell you that while it may not be easy to grow an online presence, it is certainly possible, no matter how large – or small – your business may be. So how can you get your small business on the online map? 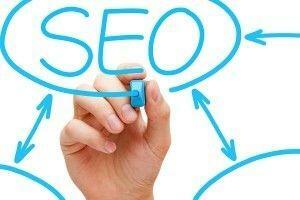 Here are five simple SEO tips for small businesses which will help you to achieve your goals. So, you’ve been researching SEO and you’ve come across the importance of links, sitemaps, keywords and the like. You may be wondering then, what does website design have to do with SEO? Well, the truth is, more than you might think. When visitors come across your website in Google’s web search results, they will hopefully click through to your website and take a look at what you have to offer. If they find your website difficult to navigate, then you can be sure that they won’t hang around for very long. Instead, they will likely press the back button and go straight back to Google’s search results to look for a better – less difficult – alternative. During recent years, search engines like Google have become very good at identifying this type of behaviour and if your website isn’t user friendly then it won’t take search engines like Google very long to recognize this and lower your search engine rankings as a result. So the first step for any small business is to ensure that your website is easy to navigate and user friendly. If you are looking to grow an online presence as a small business then you will do well to come up with some kind of link building strategy. What are links? Links are simply references to your website from another online source or you could say, online recommendations. While there are many types of links that will give you a degree of authority and presence online – such as listing your website with trusted online business directories, for example – link building also has the potential to do more harm than good. So, if you are thinking about embarking on a link building campaign but you don’t really have much experience in this area, then I would advise you to do as much research as possible first or to have a chat with an SEO professional. To further this point, I would also say that there are many people out there who claim to be SEO professionals but who are actually stuck in the past when it comes to link building strategies. If there is one area where you might well need professional help then I would recommend that link building would be that area. In the ‘olden days’, SEO was simply about putting enough of the right words on a webpage and the search engine traffic would usually come. These days, though, it’s not that simple. These days, if you try to flood your webpages with keywords, then you may well find yourself with a Google penalty for something called keyword stuffing. Keywords are still important, as you still need to let search engines know just what your website is all about and what you have to offer. You certainly don’t want to be seen as a ‘spammy’ website, though. Including the right keywords on a webpage, while at the same time ensuring that the page is not picked up as being ‘spammy’, is an important balance if you want to get your business ranking well in search engines. If there’s one thing search engines like, it’s fresh content. Websites updated with regular content offer something fresh and new to readers and this also sends a signal to search engines that a site is being well maintained. However, it’s not enough just to throw up any old content. Search engines have become very good at distinguishing between poor quality and high quality content. So, you want to be sure that you are creating unique, high quality content for your website. One way to do this would be to create a high quality blog for your website. Not only will this give your customers something to return to, but the quality of the content will also hopefully be something which other websites will be happy to link to, therefore growing your online presence further. There is a lot of debate in the SEO world about whether, or how much, Google and other search engines use social signals in their ranking algorithms. Whatever your view on it, social media certainly has the potential to boost your SEO and also the amount of traffic coming through to your website. If you take our previous tip for example – about creating high quality content for your website – then initially social media will be one of the most important tools at your disposal for promoting this content. If your content appeals to other website owners or bloggers, then you may find that they are willing to link to it, sharing it with their audience. As we discussed in Tip #2, if you are able to gain links to your content from other authoritative websites, then search engines like Google should view this as a vote of confidence for your website, and this could well increase your search engine visibility. One tip I’ve found especially powerful for small, local businesses is to use their area(s) as a long-tail keyword. For example, if you own a residential cleaning company, rather than using “cleaning” or “maid service” as a keyword, you use “Home Cleaning/Maid Service in Bethesda, Maryland” to get very targeted results. Of course, it’s a small online business then it wouldn’t make much difference. Like you said, definitely don’t do keyword stuffing though. Good tip James, thanks for your input!